This tea is a weekend and special occasion favorite in my family. It takes a little longer to make than most other teas but it’s so worth the effort. 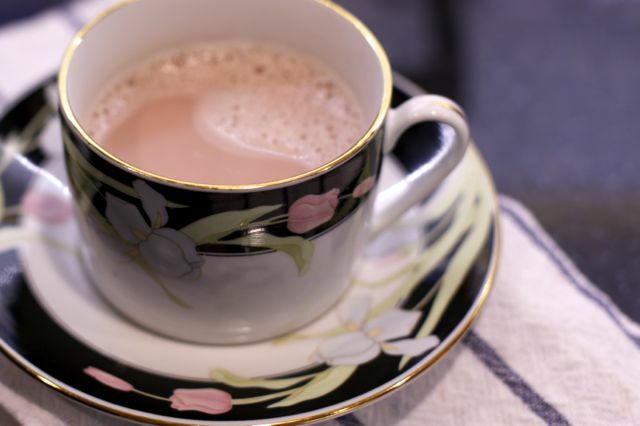 My aunts and my mother always made this tea for breakfast on days when there was a family gathering or a holiday when family and friends were expected. I’ve made this brew without nuts but it is typically made with slivered almonds and finely chopped pistachios. I’m using a recipe here that after many trials and failed attempts turned out the way it’s supposed to! Although I had the recipe… not one but several from my aunts – each made a different way – this one turned out to my satisfaction. 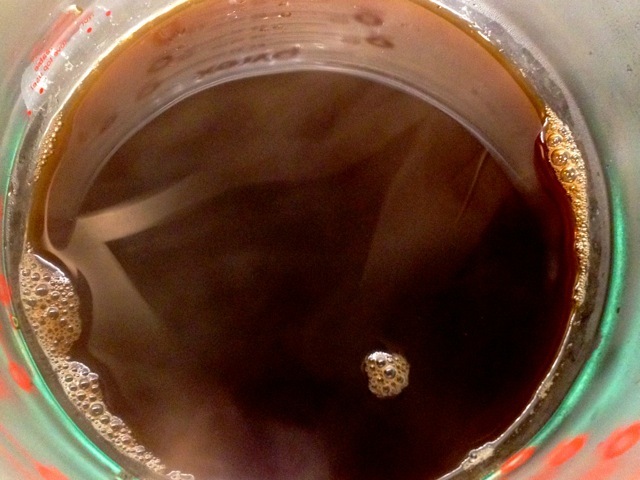 This recipe makes four cups of tea. 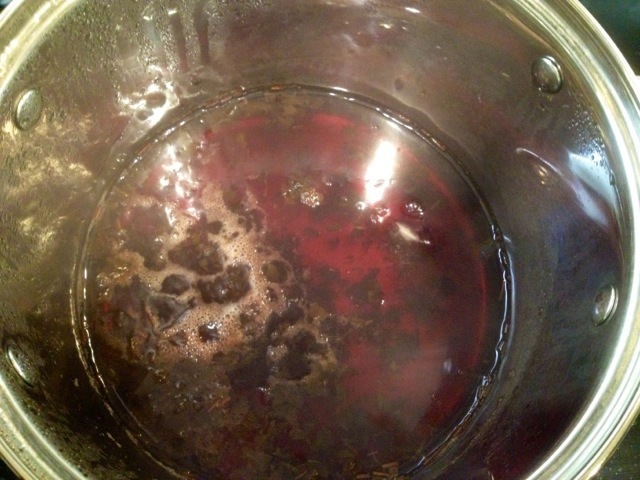 The tea will be slightly pink by now but not the red we want. Add the cold water slowly, the two pinches of baking soda, and the cardamom, and bring to a boil and then turn it down to a simmer and cook for 15 minutes. By now it should be turning red. 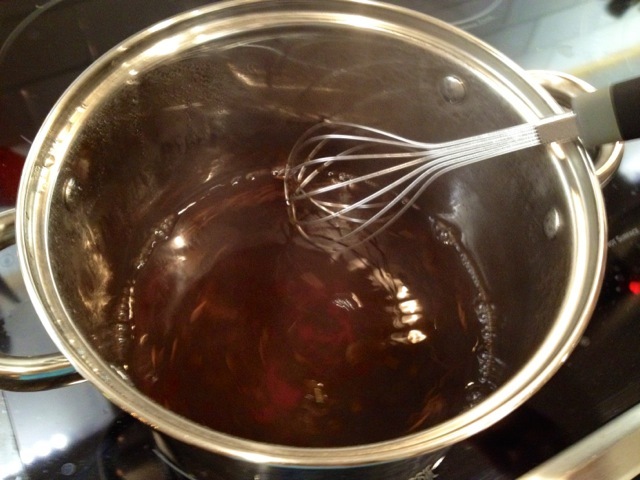 Whisk the tea for 5 minutes. While you whisk you will see it turn a bright red. 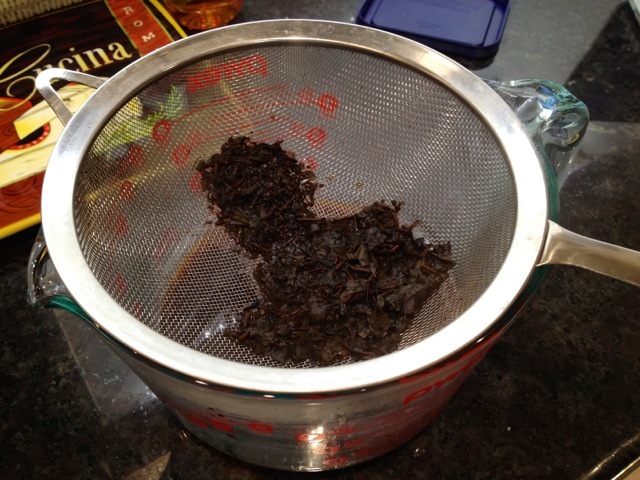 Strain the tea into a jug or another pan. 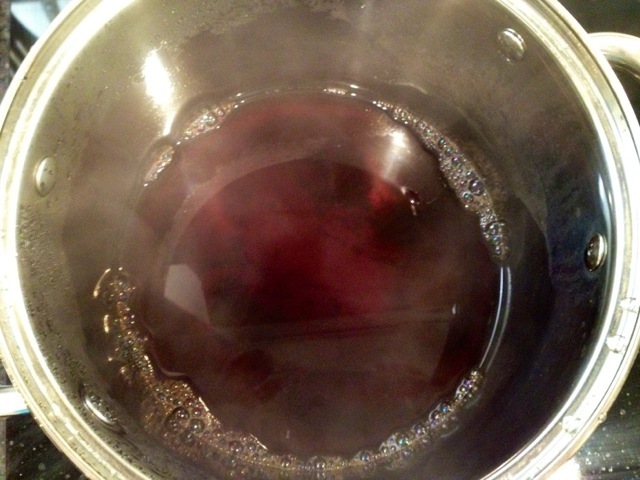 Pour the tea back into the rinsed pan. 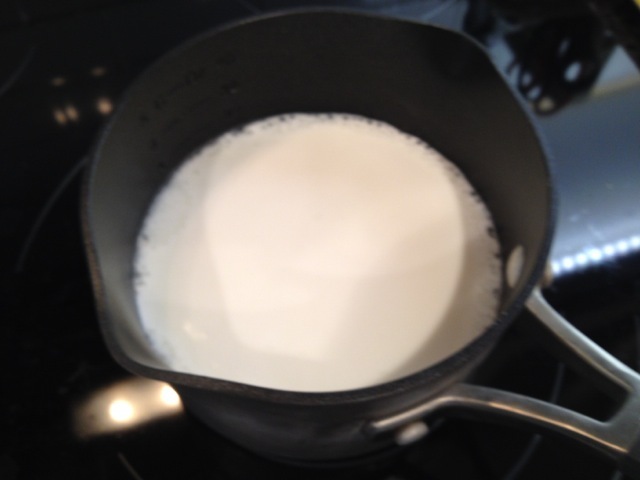 In another pan bring the milk to boil and simmer for a few minutes. 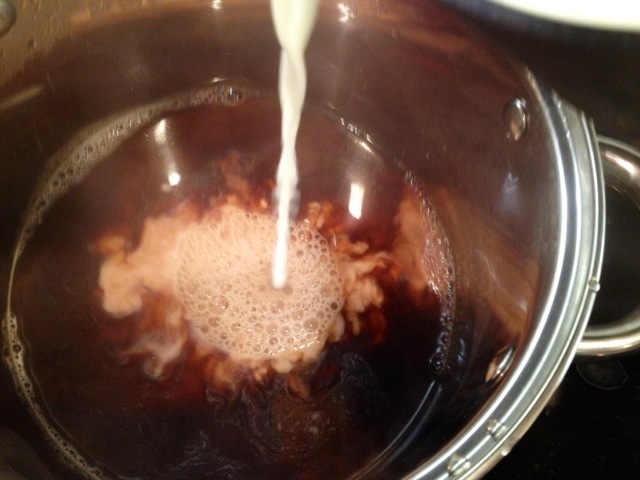 Pour the hot milk into the tea brew. 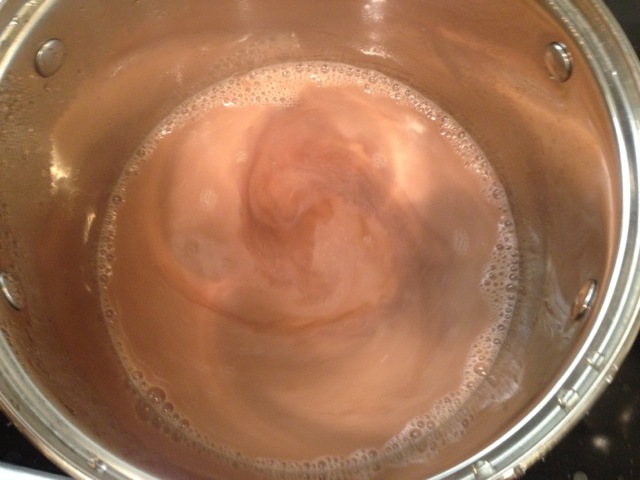 Continue adding milk until you have a nice pink color. At this point you can add the nuts (slivered almonds and chopped pistachio to taste) and serve hot. This tea is traditionally served with salt but we add sweetener or sugar to taste.